My friend, Otterlock, is the finest detective in the world. So I knew if anyone could find real mermaids, he could. ​"Don't be ridiculous," he said, "there are no real mermaids." "Fine," I told him, "I'll go look for them myself." I saw no signs of mermaids. Not even the birds had seen any. "I thought you thought this was silly.Why are you here?" I asked. "Bored. And I need a swim. And a walk in the woods," he said. 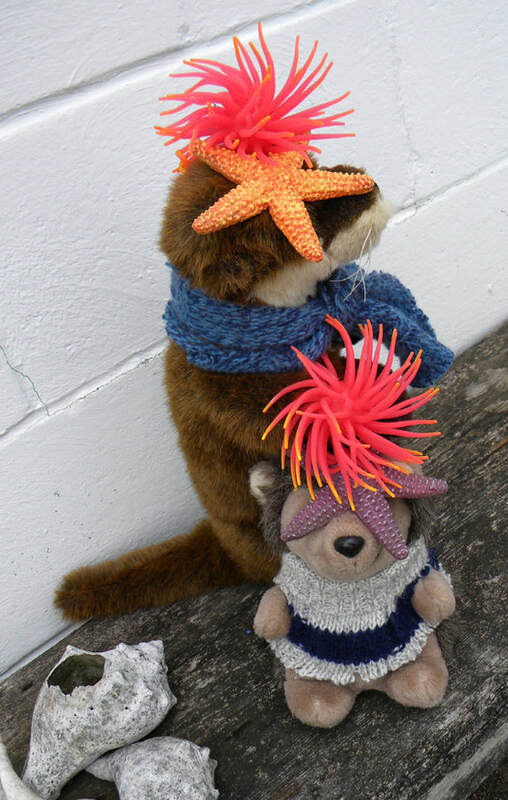 "You do know this water is far too shallow for mermaids," Otterlock said. "They aren't. Because they aren't real." Otterlock said with some amount of annoyance. Hmph, I thought, this is going to be difficult. I saw an osprey sitting on a pole, eating a fish. Ospreys fly far above the land and water, they see a lot, and far. They live near lakes and creeks and bays and...seas. If anyone had ever seen a mermaid, it would be them. But maybe the osprey would think I'm silly looking for mermaids. ​I thought. I hesitated. I almost walked away. Then I asked anyway. "You must take a ship to the island south southeast of here. I pulled out a map. "There are lots of islands south southeast of here." "The one with the wild ponies." Osprey said. 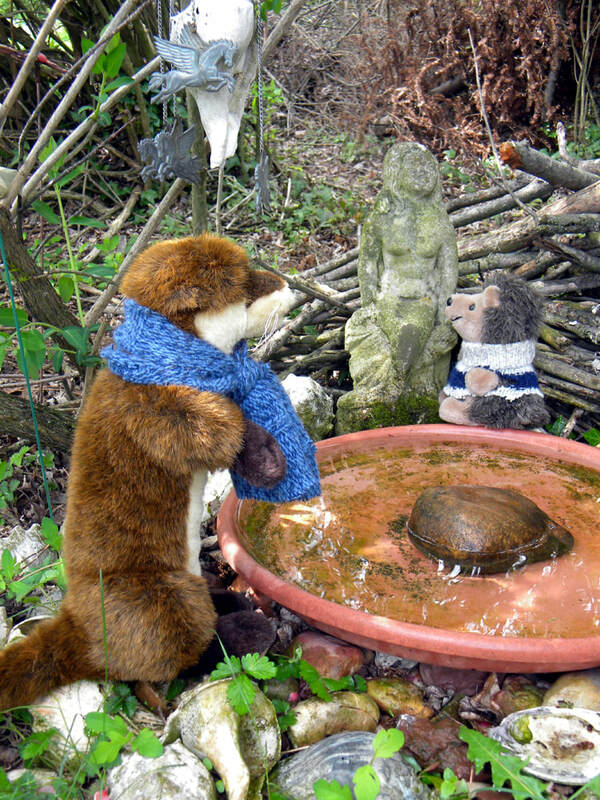 A bit later I suggested to Otterlock that we take a small sea voyage... for fun and health and fresh air and exercise. And we might learn a bit of the ropes. 'Learning the ropes' is what sailors do; they must learn what each line...or rope... it's a line if it has a job... they must learn what each line does. And there are a lot of lines, going every which way. Very confusing. I don't know how they keep it all shipshape. "Will there be priates?" Otterlock asked. "What? There are no pirates now!" We passed other ships...or rather they passed us. We seem to have chosen the most magnificent... but slowest ship. Otterlock nearly jumped overboard when one of the ships fired its cannons at us. "Oh for hedgehog's sake, they're just saluting us." I told him. "I knew that." he grumbled. We finally reached the island. We did some exploring. I was hoping to trip over some mermaids, but none appeared. Otterlock seemed to be intrigued by all the other interesting things on the island; Fowler's toads and Northern Water Snakes, many kinds of crabs and turtles. And dozens of kinds of bloodsucking insects. He pulled out a notebook and a magnifying glass and cataloged every one. I saw some wild ponies off in the distance. Perhaps I could ask them if they knew anything about mermaids. Daisey knew quite well where to begin looking. She told me there are certain beaches where sometimes the seahorses come up out of the sea, with mermaids. She didn't remember which one. It's an island. There are lots of beaches. ​She did remember someone who might know more. 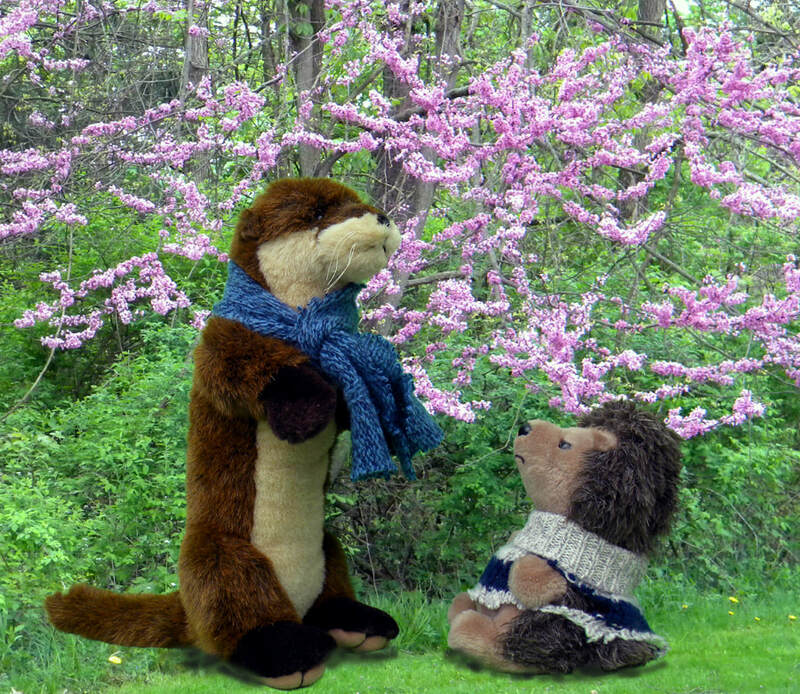 I suggested to Otterlock that we should visit one of the locals. A knowledgeable fellow with some interesting stories to tell. I said nothing about mermaids. ​He seemed to be sleeping. How to ask about mermaids, without Otterlock thinking I am an idiot. "Oh Master of the Jungle..."
"It's... it's an island... a barrier island. No jungle here," the panther said. "I'm just chillin' here, doing some surfin', bird watching, you know...more laid back than a jungle... I mean, it's a jungle out there... in the jungle." Ah. Um. "You've seen the horses that come from the sea?" 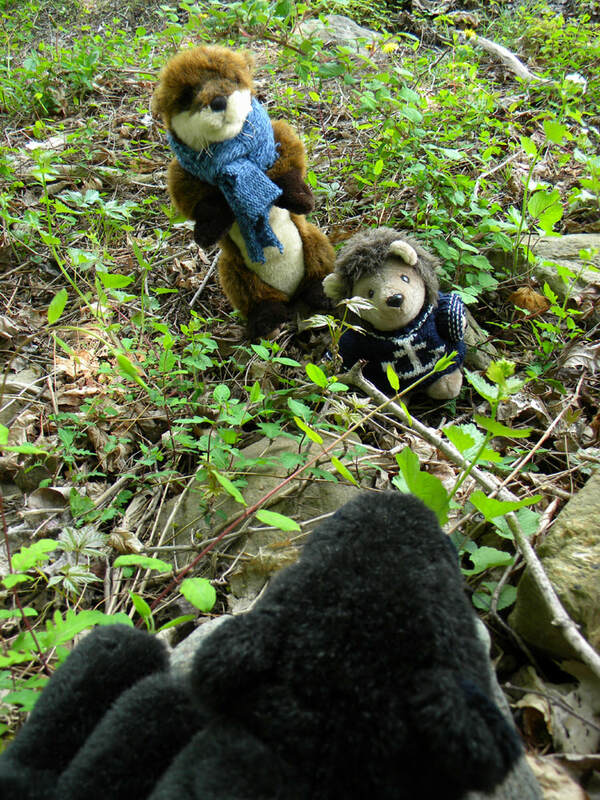 "Of course, they're all over the marsh and woods. They swim all the time to escape the bugs," the panther said. 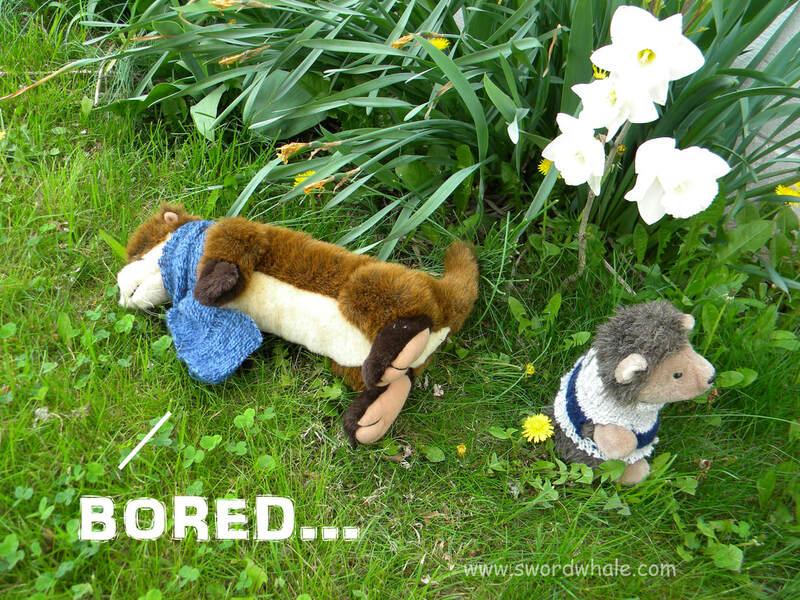 "Seahorses can't come on land," Otterlock said, "they're fish." ​"These aren't fish, dude." the panther said. "But they carry something that's part fish." He winked at me, like he knew. "I'll show you a good beach." "Look there," the panther said, "signs..."
"When do they come here?" I asked. 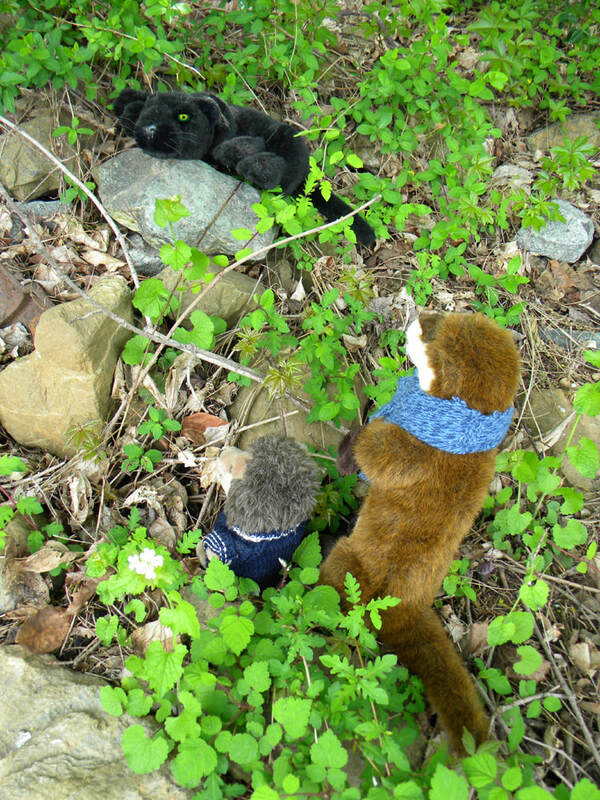 I cast a furtive glance at Otterlock, who was investigating some tracks on the beach. ​"When my friend sings and dances for them." "And we need Hank to rake some zen gardens into the sand." 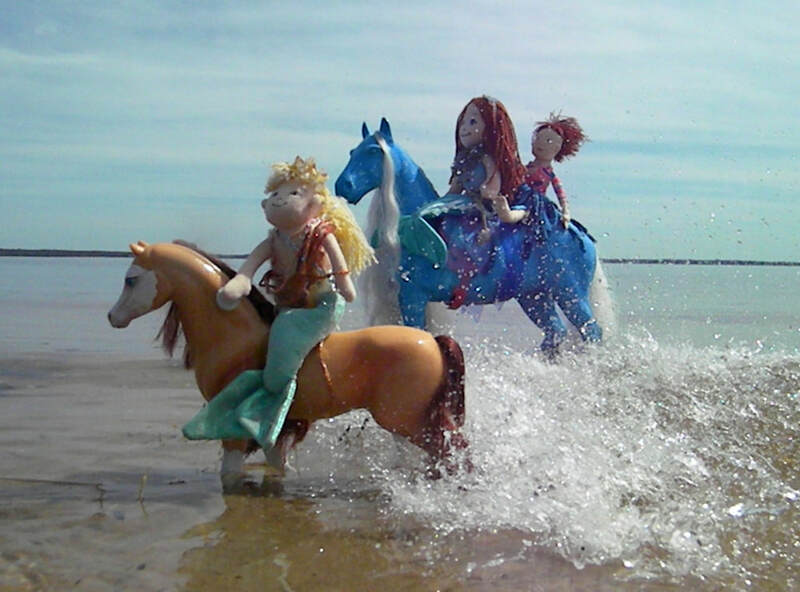 And the mermaids and their horses came up out of the sea. Otterlock couldn't believe it. 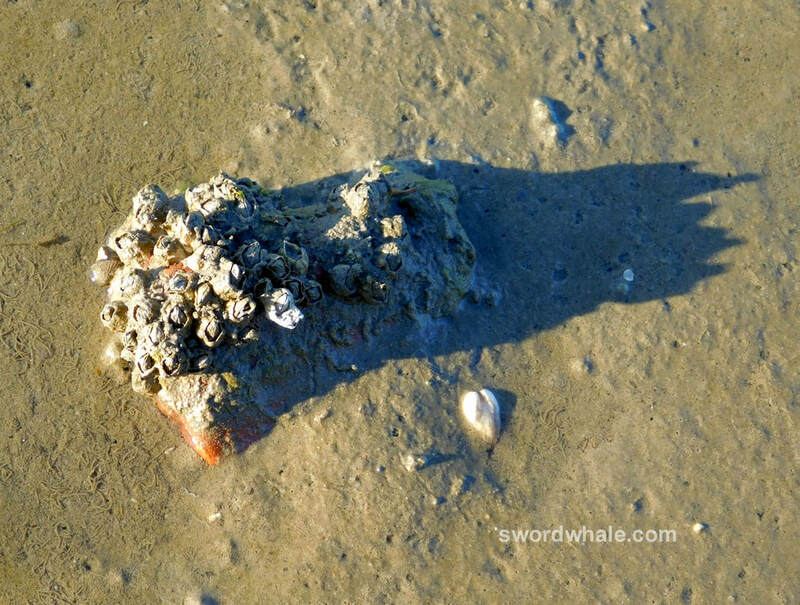 But he asked them lots of questions about life in the sea. They gave us some presents and took some pictures for us. 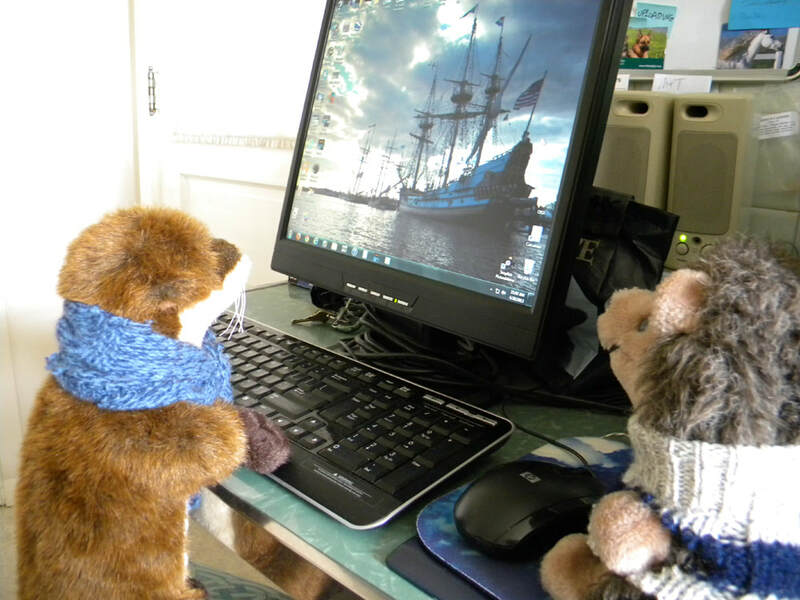 When we got back home, Otterlock was already thinking about booking the next voyage. To go party with mermaids.